Salon take over with Bella Notte Events. It was an action packed day for the Amy Kuschel flagship salon, surrounded with beaming brides to be and their highly trusted entourage, the always knowledgeable and the incredibly savvy staff of AKSF, and just for the day - the salon turned wedding inspiration. 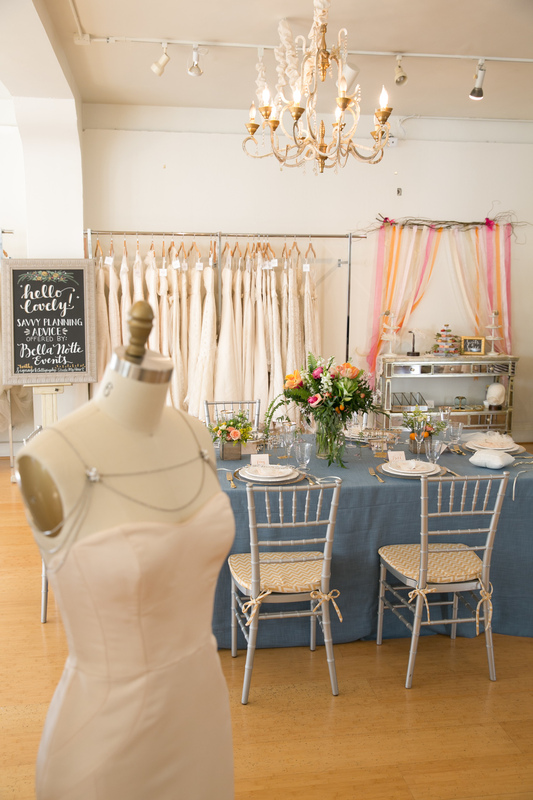 I have known and loved Amy Kuschel, her salon, and design talents since 2004 and was over the moon to be invited in for a special day of greeting brides, offering planning advice, being lucky enough to witness several lucky girls find "The Dress"! 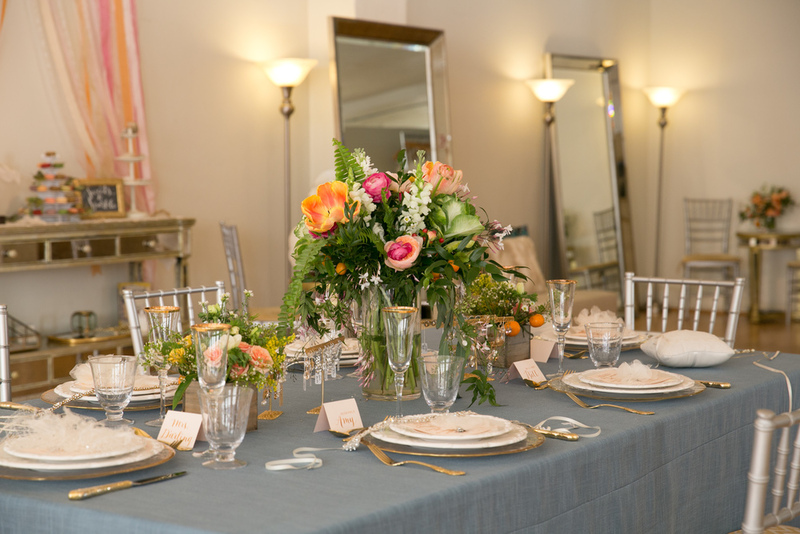 We added beautiful eucalyptus garland to the mirrors in each station, lush romantic flowers filled the tables and left a delicate soft scent in the air, with beautiful peonies, anemone's, and tulips in gorgeous soft pink and peach tones. The ever decadent Chantal Guillon spoiled us with an array of flavors of the dessert of the year the macaron. 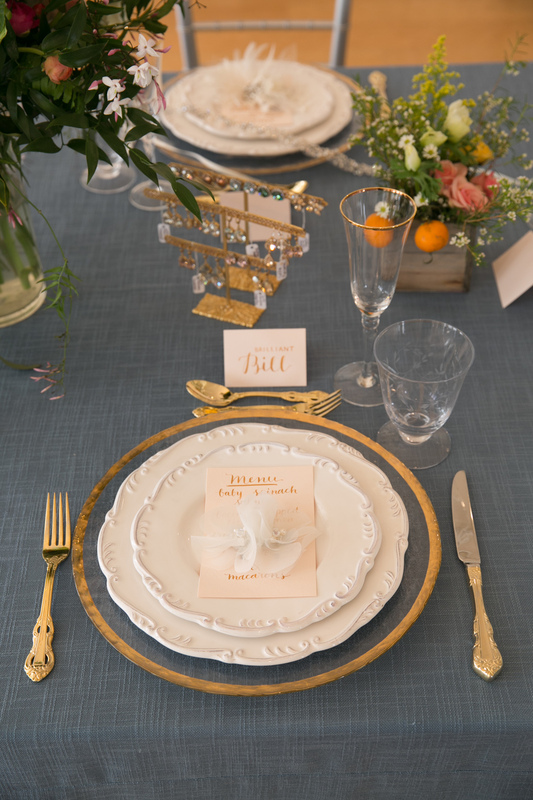 The pièce de résistance was transforming the jewelry station into a luxe dining table. The hand written menu's and sparkly details of AKSF's beautiful jewelry and accessories. It was a perfect example to illuminate all the details to consider when planning the brides special day. This stunning Persian ceremony and reception cast in bold pinks, oranges and gold was filled with lots of laughter and dancing. Our lovely couple took over the top floor of the Westin St Francis, a historic city landmark. Nestled on the outskirts of the city lies a secret forest, well not so secret, to those who live here. 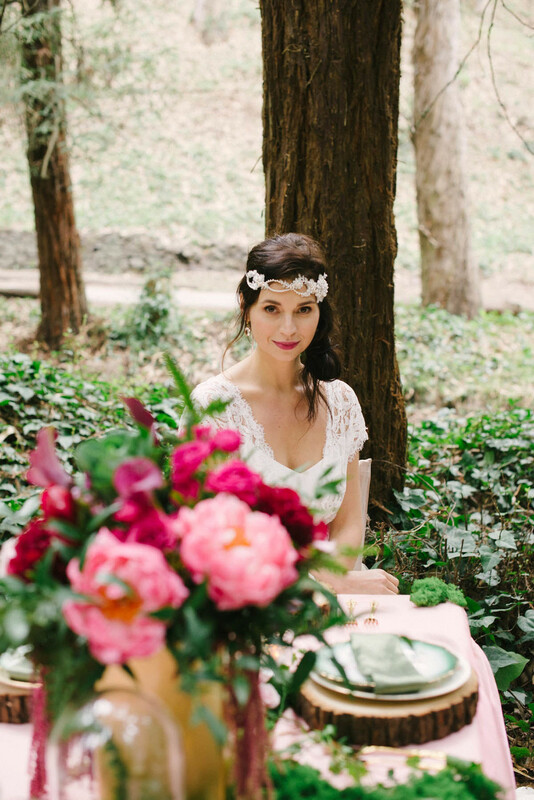 On this shoot we wanted to showcase our bohemian bride with a Shakespearean flare. 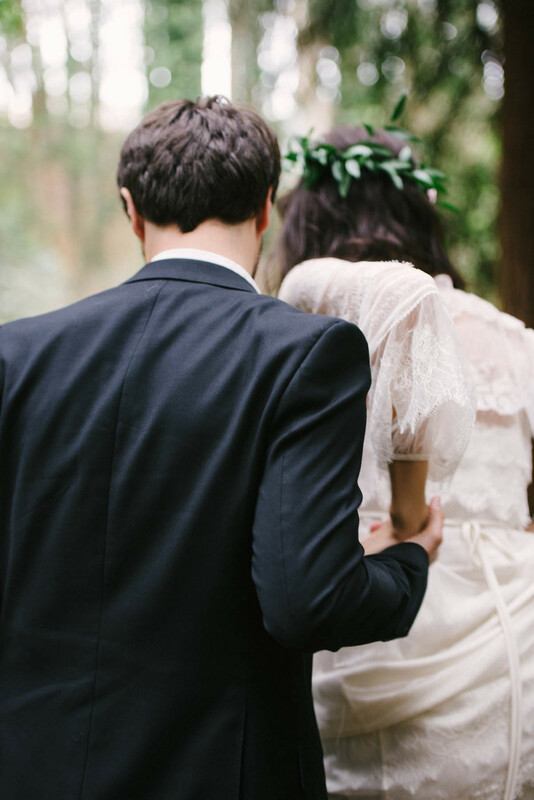 Set amongst the trees flowing with ivy is our dream like setting. 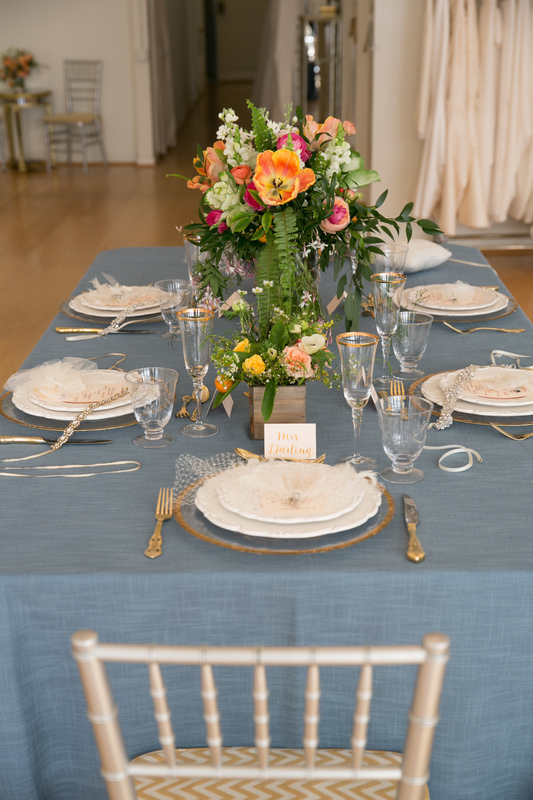 Rich florals, wooden chargers, and delicate desserts give a fairy like feeling.